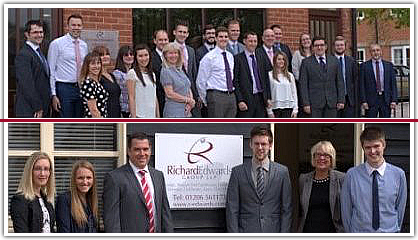 What a week for the team at Richard Edwards Group. 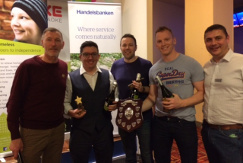 Last Wednesday, Andy Green, Dan Drysdale and Michael Bridge represented the practice at the annual Handelsbanken Charity Bowl 2019 and defeated all 36 teams competing to win the team competition. Saturday also saw a celebratory evening when the quiz team won the friends of St Andrews Church annual quiz. Some serious quiz teams were defeated by the vast array of knowledge on display from Dan, Wendy, Pam, Ian, Mandy and Mick and vital funds were raised to support the landmark church. April 2019 sees the start of HMRC's Making Tax Digital initiative for VAT (MTDfV) for most businesses. The new rules will impact VAT registered businesses with taxable turnover above the £85,000 registration threshold, taking effect for VAT return periods starting on or after 1 April 2019. There have been several recent developments, including the publication of a new VAT Notice covering MTDfV requirements, and the announcement of deferrals for some 'more complex' businesses. Please see attached a pdf copy of our recent newsletter to help guide you through the jargon and answer many of your questions in a concise manner. Making Tax Digital will affect how we currently service your bookkeeping, and we'd like to talk through your options for how we can get you ready ahead of April 2019. If you are currently using Excel or manual records to record your financial activity and VAT liability you will need to find a suitable, MTD compliant, alternative and we recommend Sage accounting cloud software to manage your accounts and keep digital records of transactions.